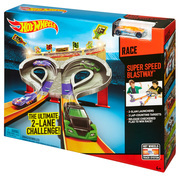 Who has the skills and the speed to cross the finish line first? Send your Hot Wheels® flying on the Super Speed Blastway™ and pitting them against the competition until the finish flag decides who is the ultimate champion! 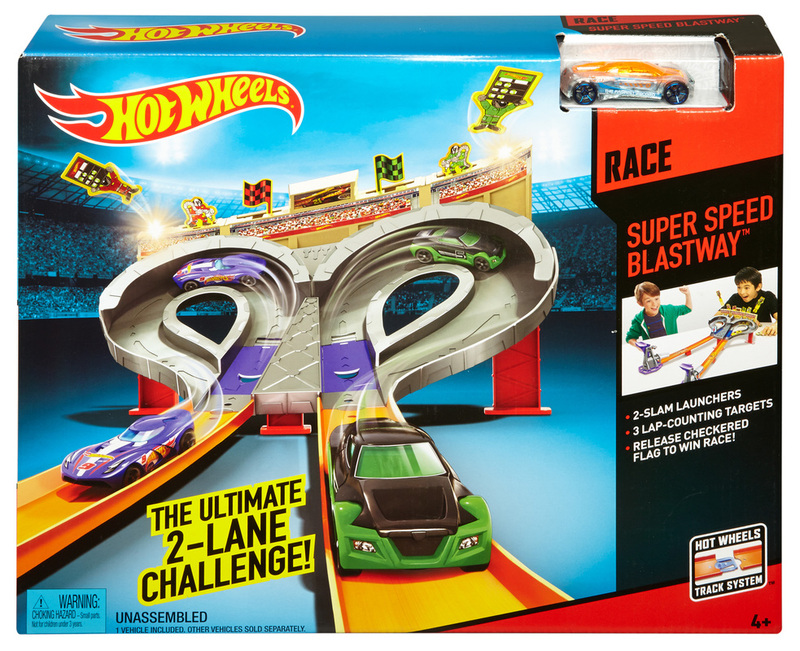 Drivers launch up towards the grandstands so fast, they knock off the pit crew one at a time with every lap until the car in the lead activates the checkered flag for a grand victory. 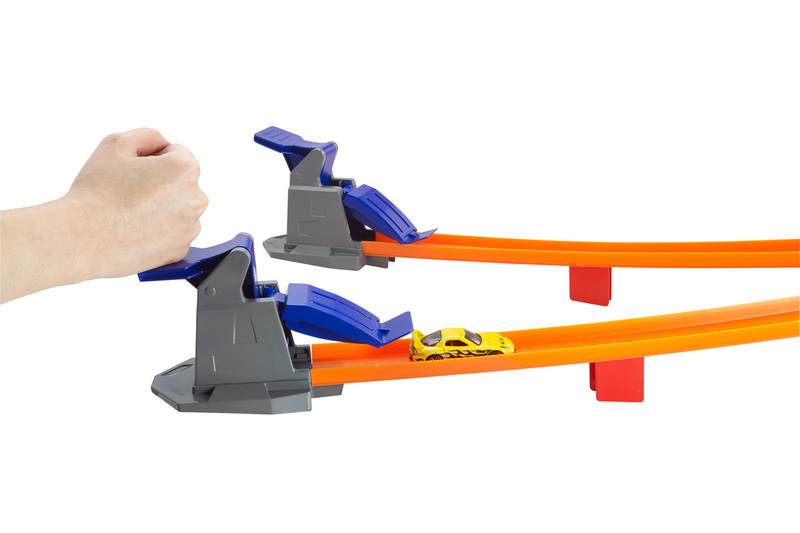 Kids will love the side-by-side racing action activated by two kid-activated slam launchers. 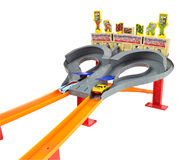 Grandstands feature pop off characters activated by every completed lap around the speedway. Finish flag appears at the end of the race to reward the winner! 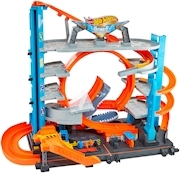 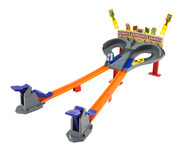 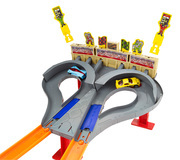 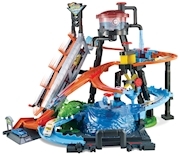 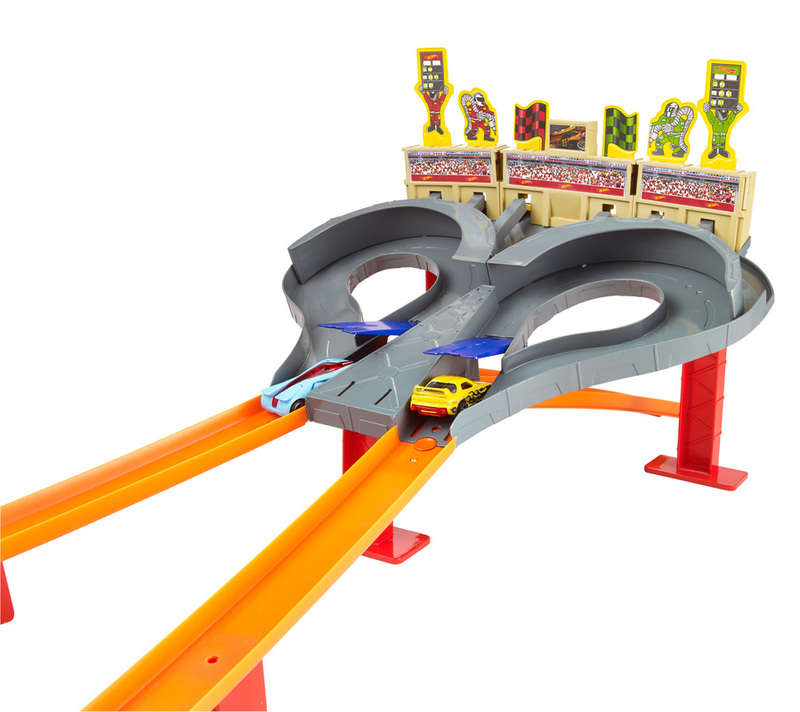 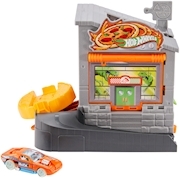 Connects to other Hot Wheels® track sets so kids can continue to build an entire world of racing thrills.